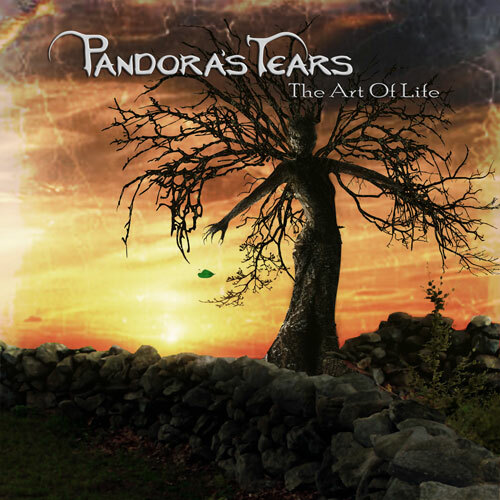 The story of the band "Pandora's Tears" began on an evening in 2009, when Mimi and Sascha decided to found a band based on their musical adventures and experiences. Over the years, their own musical style grew, many songs were written and many concerts were played. In February 2013 the recording of the first album "Now and Beyond" began. The release took place on November 30, 2013 as part of a record release show. Further gigs followed in Berlin and the surrounding area with the final highlights in December 2015 as support for My Insanity in Eisleben and at the beginning of 2016 a great charity event for the benefit of Sea Shepherd together with artists like Circles of Malice, Five Kiss Prophecy, Castle of Clouds and Rivals in Friends. Already during this concert series the single "In June" was recorded. This was released on 03. June 2016 on the sampler "The Battle of Metal Vol.3" by Dark Tunes. In 2018 the band went back into the studio to record the new EP "The Art of Life", which was released on 31. August 2018. Release album "Now and Beyond"
Release EP "The Art of Life"
what no one wants to know I am Batman! quote Find your way before another one goes it! what no one wants to know Yes, I can't get enough hair care products. quote "I choose to live, not just exist." what no one wants to know In Germany unemployed football players are listed as an artist at the Federal Employment Agency.